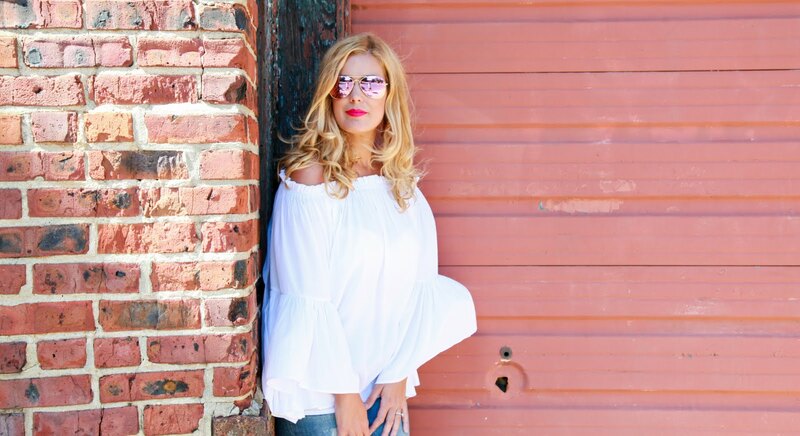 Fashion Maven... Mommy: It Cosmetics GIVEAWAY! You all know how much I love It Cosmetics right? I love them so much in fact, that I wanted to share the love with all of you! In thinking about what product to give away, I narrowed it down to 'Hello Lights Anti-Aging Crème Luminizer with brush'. Here's how I decided... my top It Cosmetics holy grail products are Bye Bye Under Eye, Celebration Foundation, CC Cream and Hello Lights. The three out of the four products I love are all shade appropriate, meaning, you'd need a shade that's right for your skin tone. The Hello Lights is universal and works on all skin tones... so voila! I took a trip to my local Ulta to stock up on my Bye Bye Under Eye concealer recently, which I simply cannot live without, and picked up Hello Lights with an application brush to give away to one of my loyal FMM readers! I absolutely love this crème luminizer and wear it every single day for a natural glow. It comes with a cheat sheet so you'll know exactly where to apply it! Check out my review and VIDEO on contouring and highlighting using this product! 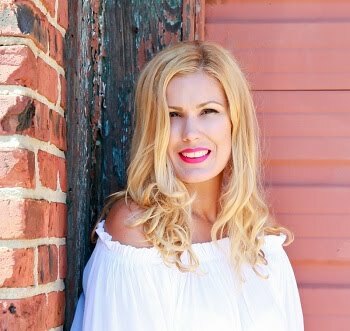 Follow Fashion Maven Mommy on GFC-(Click the blue button on the right hand side of this blog that says 'join this site' and follow. Leave a blog comment with your user name on Bloglovin, Instagram, YouTube and Pinterest so that I can verify your entry. 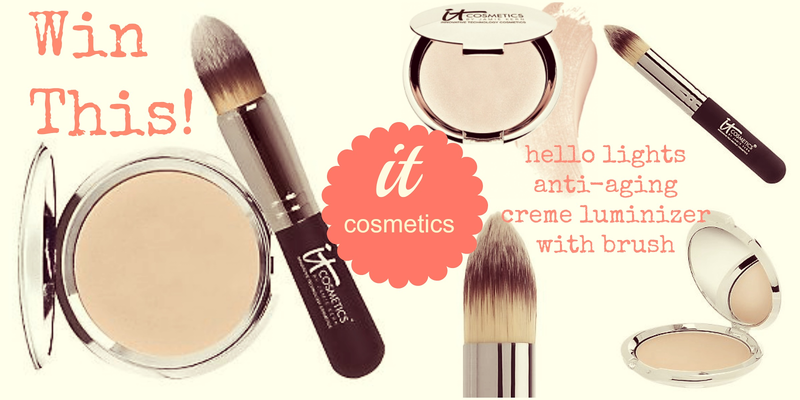 One winner will received one It Cosmetics Hello Lights Anti-Aging Crème Luminizer with brush. This giveaway is open internationally. You can enter from anywhere in the world! You must follow all the required entries in order to qualify. The selected winner's entries will be verified prior to notification. Once the winner has been notified, you will have 24 hours to respond or a new winner will be selected. Thank you so much for entering and GOOD LUCK! Just subscribed to your YouTube channel (Debbie E.) and watched your French braid tutorial. Thanks! I don't have that much hair but clip ins help, lol. I don't have Instagram but follow you on bloglovin (bloglovin.com/debe) as Debbie. Cheers for the anti-aging cream btw!! Soooooooo excited!!! Love your blog and follow you with bloglovin, FB, Twitter etc. Still letting friends in on your blog as well! Fingers crossed, cause as a 40 something woman this makeup looks ideal. I recently came across your blog and have been following it. I'm very impressed. You're truly well informed and very intelligent. You've been able to write in a way people can understand easily. I'm saving this for future use. Thank you! Following on Bloglovin, Instagram, Pinterest, and Youtube as 0heide0. 2. Bloglovin: I have no idea where to find my username, but I followed both of your pages on it! My username is probably shortiroc86 or jess@hellopolish.